I	I	t's always in the last place you look. For several decades now, energy scientists have been working hard to crack a challenging puzzle: How to turn wood into an efficient and sustainable biofuel source, similar to corn or soy. A team of researchers from the UK may have just found the solution by turning away from the forests and studying the sea. 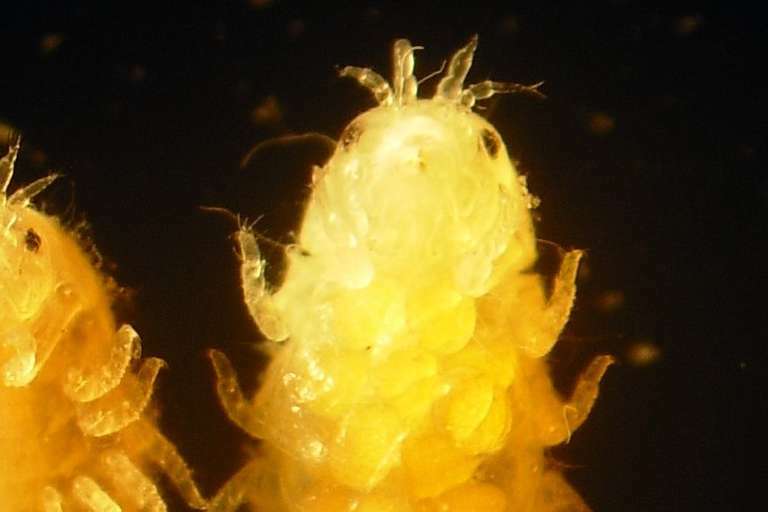 New research published this week in the journal Nature Communications suggests that the key to viable biofuel may be found in the tiny wood-eating crustacean known as the gribble, or Limnoria quadripunctata. 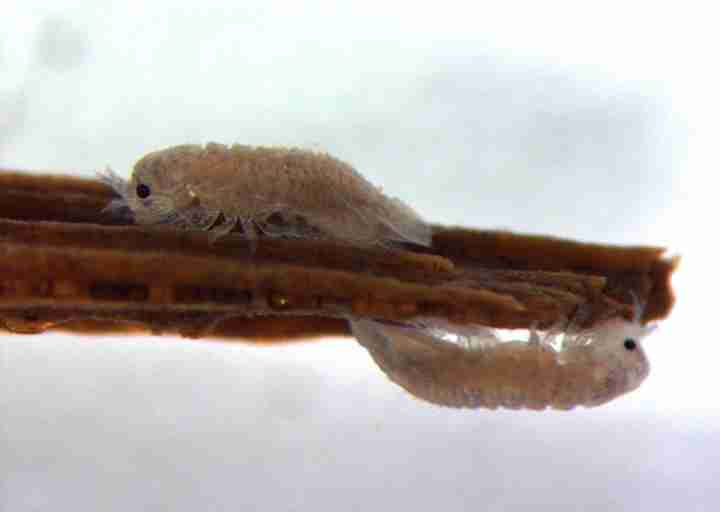 The creepy-crawly crustaceans have evolved to serve an important ecological role by eating the driftwood that washes into the sea from rivers and estuaries. Gribbles have also been a perennial headache for boat owners and marine professionals, since they like to chew on the wood of boats and piers. But that very evolutionary adaptation may provide a critical guidepost for our species. The digestive system of the gribble is remarkably effective at breaking down lignin, a tough coating that surrounds the sugar polymers inside of wood. Those sugars are ultimately the fuel in biofuel, and if we can figure out a better way to extract them, then wood could potentially become a high-yield renewable energy biofuel like soy and corn. According to Neil Bruce, biologist with York University and co-author of the new research, the gribble’s unique digestive tract provides a potential biomimetic solution to a longstanding industrial dilemma. “In the long term, this discovery may be useful in reducing the amount of energy required for pre-treating wood to convert it to biofuel,” Bruce said in a statement issued with the new research. For those of us who tend to nerd out on arcane alternative energy issues, the new insights offer some intriguing details. It appears that the gribble’s digestive tract uses a kind of protein called homocyanin to break down the lignin and extract the sugar polymers. If that term sounds familiar from eighth-grade science class, it’s because hemocyanins are related to hemoglobins, the protein responsible for transporting oxygen in us vertebrates. Invertebrates like the gribble use hemocyanin for similar purposes, but the new study reveals that the protein also serves a second critical function. Because oxygen is a highly reactive chemical, the hemocyanin in gribble guts works to oxidize the lignin bonds that bind the wood together and lock up the desired sugar molecules. The research reveals that treating wood with hemocyanin radically increases the amount of sugar that is released when processing a chunk of wood. In fact, the hemocyanin unlocks around the same amount that is released with expensive chemical processes currently used in industry. “The cellulase-enhancing effect of the hemocyanin was equivalent to that of thermochemical pre-treatments used in industry to allow biomass hydrolysis, suggesting new options for bio-based fuel and chemicals production,” Bruce said. The researchers also note that woody plant biomass is by far the most abundant renewable carbon resource on the planet. And unlike food crops that can be turned into biofuels — think corn and soy again — woody biomass doesn’t cut into food supplies when it’s harvested as biofuel. So the future of renewable energy may lie within gribble guts. Who knew?